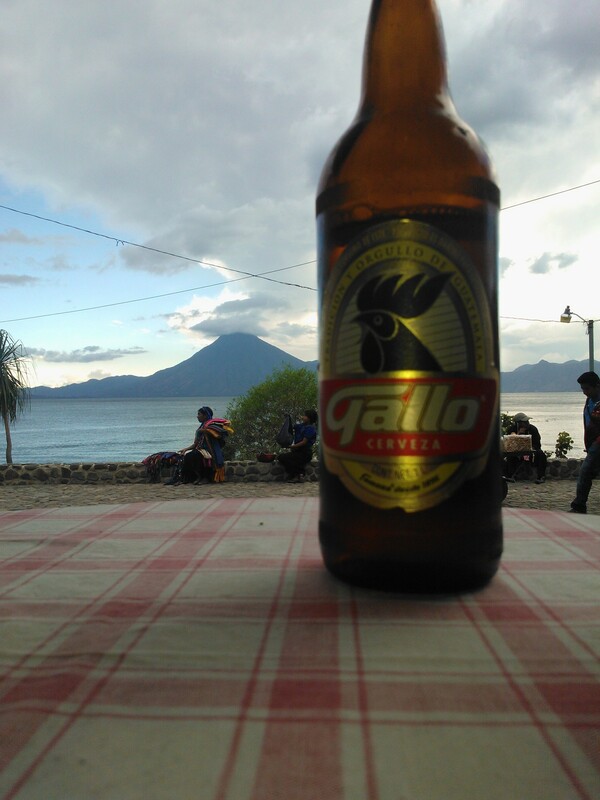 The most respected beer in Guatemala is Gallo, there are a few others but most people with any self worth drink the Gallo. The Gallo in its natural surroundings, lakes, volcanos, and Guatemala. At 5% its a good strength pale lager and since its Guatemalas longest continually brewed beer ( since 1896 ) has become their most famous. Its now part of everyday life and has become part of folklore. The brewery was founded in 1886 by two brothers Mariano Castillo Cordova and Rafael Castillo Cordova, boy did they know what they were doing. It has received several international awards including the gold medal certification ‘Monde Selection‘ from Belgium – praise indeed. I also tried the infinitely cheaper Brahva beer, this could be had for as cheap as a dollar for a litre bottle. It didn’t taste too bad really but after discussing the finer things of life with a local drunk Guatemalan fisherman one day, i realised that he spoke true words. Using the international language of mime he suggested by moving his hands over his stomach and making wind noises that the Brahva would unsettle your stomach somewhat and wind would ensue. This was true. But at a dollar a litre ? Small price to pay. Described by some beer review websites as ‘Aroma of weak lemon and soft cardboard’ and ‘Watery, with a rare after-taste, so soft’ – got to give it a go though right ? 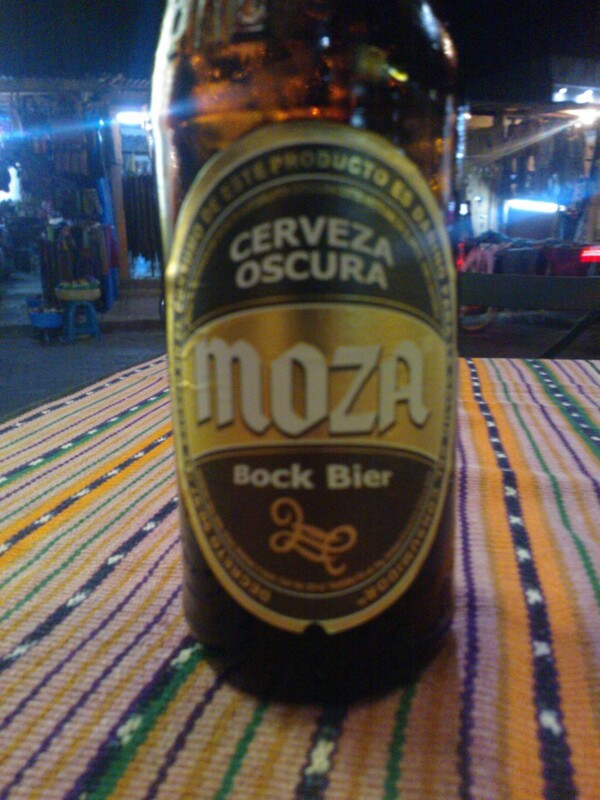 Another beer i enjoyed after all the lagers and so called pale ales was a beer called Moza. A dark beer it was different to what i had been drinking and a refreshing change. It is a dark and sweet bock beer at 5% and highly recommended.